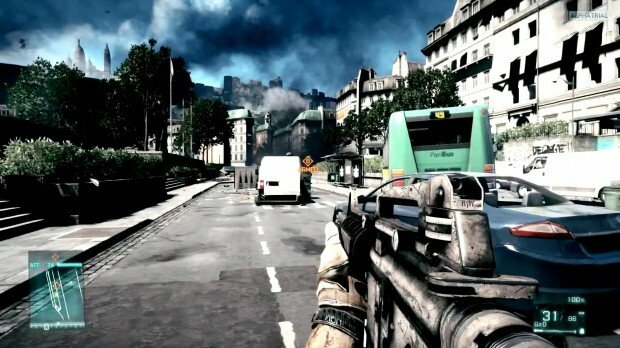 An absolutely stunning seven minute video of Battlefield 3 has hit the internet today and it features the game’s multiplayer mode. Keep in mind that this isn’t even the finished version of the game, it’s Alpha footage and it still looks absolutely fantastic. To combat the leaked multiplayer footage, DICE released an official trailer as well, showing off a number of their E3 awards as well as some impressive multiplayer gameplay. Furthermore, a couple hours after the aforementioned two videos hit, someone else leaked a quick five minute video of once again, the multiplayer. Let me tell you, it’s a good day to be a Battlefield 3 fan. Call of Duty killer? I’d say so. Truthfully, I don’t think any game out there stands a chance against Battlefield 3. It just looks so damn good, in every area. Check out the videos below if you’re still a skeptic, you’ll be amazed. If the videos of the leaked footage go down, let us know in the comments.